Impressed? There’s still time to grab tickets if you haven’t already. 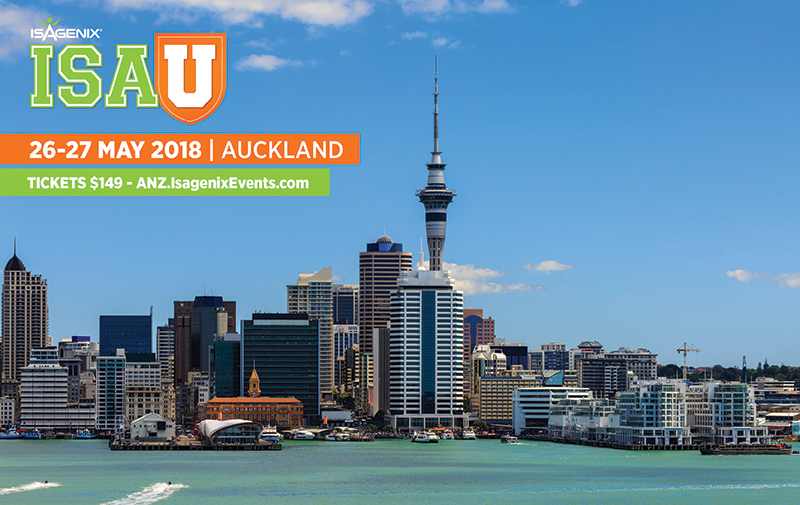 Head to ANZ.IsagenixEvents.com to secure yours and don’t forget to spread the word to your team – time for New Zealand to show Australia how it’s done! *Isagenix Legacy Club Millionaires are defined as Isagenix Associates who have cumulatively earned $1 million or more with Isagenix. Earning levels for Isagenix Independent Associates that appear in this publication are examples and should not be construed as typical or average. Income level achievements are dependent upon the individual Associate’s business skills, personal ambition, time, commitment, activity and demographic factors. For average earnings, see the Isagenix Independent Associate Earnings Statement found at IsagenixEarnings.com.